What's Hot! 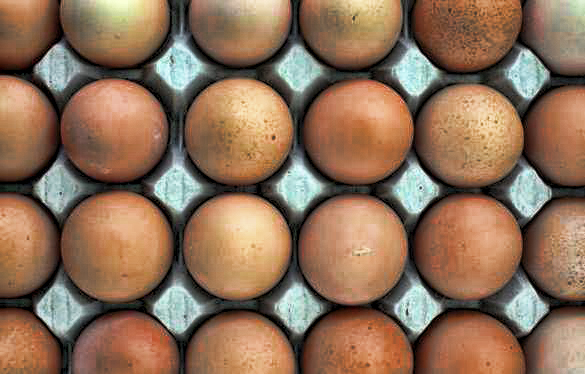 : Cracking the egg myth?? Health and Medical Research Tidbits you may find interesting! You've heard for years that cholesterol-laden eggs are bad for you. Well, the government admits the bad egg myth isn't all it was cracked up to be. New nutrition data from the United States Department of Agriculture shows eggs are 14 percent lower in cholesterol than previously thought. Not only that, they have 64 percent more vitamin D than was believed. "My research focuses on ways to optimize diet quality, and I have long suspected that eliminating eggs from the diet generally has the opposite effect. In our own studies of egg intake, we have seen no harmful effects, even in people with high blood cholesterol," said Dr. David Katz, director of the Yale University Prevention Research Center. The bottom line: An egg a day is just fine. And the government was wrong. Again. Selected Reading: USDA, Huffington Post, WebMD. Ya need to drink the fish! !